Weinstein was director of the Laboratory of Tropical Diseases and Laboratory of Parasitic Diseases for the National Institutes of Health before joining the Notre Dame faculty in 1969 as professor of biological sciences and department chair. He retired in 1990, after which he continued active research as a professor emeritus. 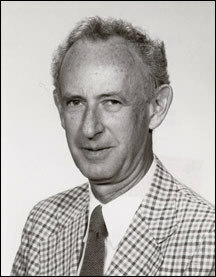 Weinstein's research interests were in the area of physiology and biochemistry of parasites, and he published more than 90 scientific papers in his career. He was a member of numerous committees and editorial boards relating to parasitology and world health, including the World Health Organization in Nigeria, the U.S. Japan Cooperative Medical Science Program, the Parasitic Diseases Panel (NIH), the International Centers for Medical Research Committee (NIH), and the Advisory Scientific Board of the Georgas Memorial Institute of Tropical and Preventive Medicine in Panama. His University honors include the Faculty Award (1987) and the Shilts/Leonard Teaching Award (1988). Weinstein is survived by his wife, Rachel, a daughter and a son and a granddaughter. Funeral services will be held Jan. 8 at Temple Beth-El in South Bend. Originally published by William G. Gilroy at news.nd.edu on January 07, 2008.